Includes dates of re-runs of the presidents series and a teachers' guide. Showcases teacher-recommended activities for young children in honor of this holiday. Find ideas for songs, snacks and art projects. Access encyclopedia articles about each of the US presidents and two trivia quizzes. Comprehensive site detailing everything you ever wanted to know about Lincoln. The home of Thomas Jefferson. One of the best ways to understand Thomas Jefferson is to walk through a typical day at Monticello in the 1800's. The home of George Washington. Take a tour, a quiz and enjoy the history. A portrait and biographical sketch of each of the 42 Presidents. 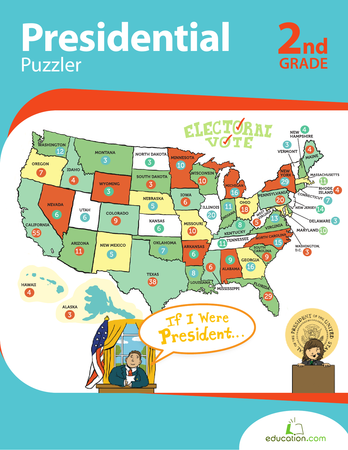 Play a naming game about the Presidents. Coloring pages of the first 43 presidents.